Have you ever met someone that loves the outdoors so much that it is hard to bring them indoors? That describes us. We have been helping people experience outdoor adventures for over 28 years. Including our own adventures, our extensive knowledge base contains contacts to over 15,000 Outfitters, Ranches and Retreats. In 1986, we began helping others find hunting leases in Texas. We published several Hunting Lease Directories and then, needing to increase the frequency of the publishing, we got on the internet as HuntingPages and created the Texas Hunting Lease Report that is updated every week. The Texas Hunting Lease Report averages 150 listings each week, adding and subtracting around 30 new and old listings. It is different from other services that post a lot of listings but rarely remove them when the property has been leased. The Texas Hunting Lease Report is unique as it removes any listing older than 14 days and requires it to still be available before it gets back on the report. This saves the subscriber time, money and the frustration of calling number after number just to find the property has already been leased. We average 2600 new places to hunt each year with our service, making it one of the best ways to find a hunting lease in Texas. Over our 28 year history We have successfully served well over 10,000 individuals and corporations find hunting leases as well as a variety of worldwide hunting, fishing and outdoor adventures. In 2010 we renamed our company to the Worldwide Adventure Network to better describe our efforts. As our business grew, we began to add more services to better meet our customers needs. 20 years ago we began offering a Land Management Service to landowners that needed/wanted someone to handle the wildlife and hunter relationships on their properties. We currently manage over 60,000 acres for a dozen landowners. Unlike a lease broker, we actually manage the land operations for most of our customers. Providing MLD3 level management for many of our landowners. Our most exciting and important thing to tell you about ourselves are that we are Christ Followers. We have been leading and teaching Bible studies for the last 18 years. To see what we believe, please visit our Know Jesus? page. This ministry will serve as our vehicle to help those that cannot help themselves while at the same time teaching those that are willing to hear about God’s saving grace. 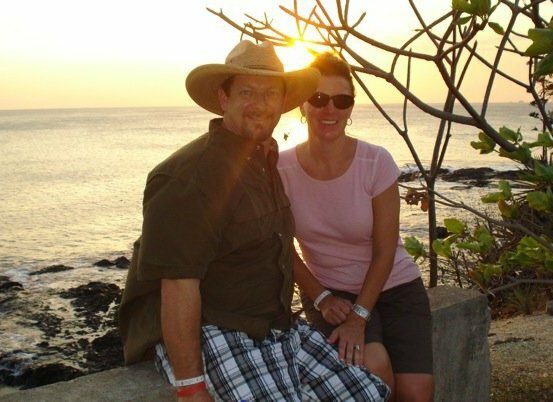 Starting in Costa Rica, we have now expanded the Adventure, Missions and Retreats ministry to the Hill Country near Brady, Texas and in the Rocky Mountains of Northeastern New Mexico close to the town of Red River. To contact us for any reason: AMR Ministries PO BOX 162329 Fort Worth Texas 76161 Phone 800-277-1647 info@8002771647.com.